Observation - Fritillary - UK and Ireland. 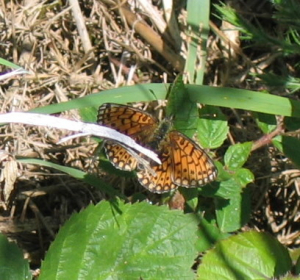 Description: Fritillary butterfly - Small Pearl-bordered or Pearl-bordered? Fritillary butterfly - Small Pearl-bordered or Pearl-bordered?